Continuous Music is a mesmeric example of exactly what a lifetime’s dedication to an instrument can yield. 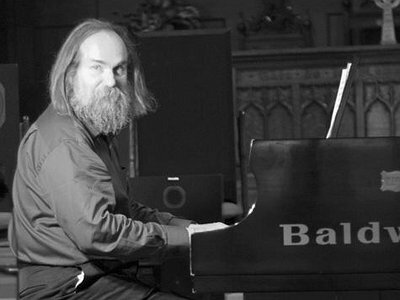 Lubomyr Melnyk’s transcendental technique of piano performance and composition initially took its cues from composers such as Terry Riley and Steve Reich in the 1960s. However, Melnyk’s music stands in stark contrast to the Minimalist creations of these composers by achieving the same meditative effect on audiences by virtue of more rather than less. Through a systematic accumulation of physical sound and sustained, often rapidly played notes, Melnyk’s Continuous Music draws the listener into its wake and gradually places them into the seemingly timeless vortex of his dreamlike sonic maelstrom. On his latest release "Corrolaries" (Erased Tapes) it seems as though, after 40 years of practice, he has mastered the alchemic art of transforming sound into metaphysical experience. I started composing as a child with my earliest influences being the music of Beethoven and Brahms. As I got older, things changed and now the list of influences would be enormous, perhaps even impossible to compile as I consider my work to be so completely unique that there are no influences. I think every composer is moved by the music of other people, so maybe a better way to say this would be that I consider the influences I have to be peripheral or anything that works on my soul and vision of existence. Some of these have been physical influences, such as dancers, and others have fallen into the metaphysical realm such as certain writings. My music can’t be separated from my heart and soul because they are one. That which influences me will influence my music. Working with Carolyn Carson at the Paris Opera in the early 1970s along with the extreme hunger and poverty I experienced at that time, brought about pivotal changes for me. Those key elements of truly extreme hunger and having absolutely no money, but continuing to work with music, allowed me to discover the universe of the piano. Another incisive moment would be during the 1960s when Continuous Music first emerged. That opened up a whole new musical language for me. A language I thought was very beautiful and truly meaningful in a multidimensional way. I’ve allowed the technique of Continuous Music to develop on its own because it’s not something I could limit with a challenge or a goal. However, there are two challenges I would like to overcome. One of them is that I’d like to create an entirely new aural experience for the audience as an alternative to the concert hall. This would involve a sound system where the piano would be broadcast around the audience using very fast moving speakers that would whirl around them at high speed, surrounding them completely like an ocean of sound. Unfortunately I just don’t have the technical knowledge to make this a reality but I’d like people to have this experience because when I’m playing music, my being is moved into the sound so that I’m surrounded with it. The sound moves in and out of my body and it’s a truly a mystical experience. The Continuous Music piano technique is a transcendental technique where the mind actually moves in space, so this idea would allow the audience the next level of experiencing my music and it would become trans-dimensional. The other challenge is to try and actually have people respond powerfully enough when hearing Continuous Music, that they actually want to play it for themselves. To be able to take this enormous instrument, attach it to the end of your hands and play with it is just one of the greatest things on the face of this earth. It’s truly an ecstasy and a wonder to experience. That’s the main thing I would like to give people. I rarely start with a preconceived notion. That only occurs when someone requests something specific, like a poem set to music or something like that. Usually I just start with a very small seed of an idea. It’s generally something that I find very interesting or have an immediate bond with. Then it may sit for several weeks and start to become a little piece or a miniature. Sometimes it grows into a very big piece over the period of a year or two because it keeps opening up like a road you have not travelled upon before. The latest large work that I have done is called ‘Windmills’ and it’s taken over two years to get to its final form. Pieces like these are not just musical they are also emotional. By having a piece sit inside your heart and soul for months and months, your eyes eventually open to something new which means a certain amount of time needs to pass before you’ll even discover what’s still missing. So usually I’ll just take it as it is and let it grow or come to its end, as it will naturally do. I’ve given up on that idea because I discovered that every piano on the face of the earth has a unique voice. Trying to write pieces that can recreate the timbre of the piano it was composed on is a dream I had to let go of. Recently I found that the pianos that have the most mystical and magnificent timbre are upright pianos. They are so cloudy and enormous in their sound. You can just hit one note and BANG! the whole universe opens up in front of your eyes. The problem is that you can sit down at this piano and create something that is an experience of indescribable beauty because of the sound that that piano makes, but if you take those same notes and go to another piano, it can sound very humdrum. For this reason I gave up long ago trying to associate composition with the timbre of an instrument. You could say that this is the greatest thing about Continuous Music but it’s also its greatest defect. Classical music will sound pretty righteous when played on any piano because of the relationship between all the notes, whereas with Continuous Music it varies a great deal. At one piano you will experience unbelievable, soul destroying beauty with all of the wonderful harmonics and resonances that happen within the instrument but then at another piano the experience can be dull depending on how that piano responds to those same notes. The differences between pianos are enormous. For example, between ten million sopranos you could probably classify the variations in timbre within about four or five different types whereas with pianos you’ll have ten million pianos and ten million timbres! It’s truly an instrument beyond description. In our modern world one of the true terrors of our existence is that pianos are being destroyed and thrown away. They are living creatures, the highest époque of our manufacturing skills. Between the years 1880 and 1930, the perfectionism associated with manufacturing pianos was almost approaching the ideal of the Samurai sword. No one would dream of throwing away an original Samurai sword mainly because they are worth millions of dollars, unlike old pianos. But like these old swords, pianos of this era, are amongst the highest achievements of human beings. These days people are just too busy with their noses stuck in an iPad to realise the level of human achievement that is all around them so throwing these pianos away is just murder. A piano should be revered as a glorious thing. It’s a reflection of our own selves. To be able to play the piano really well, and I mean really well, is an unbelievable achievement. It’s like taking an entire Chinese circus of tricks and being able to do all of that at the keyboard. Still, people think nothing of it. They think they can take a bunch of lessons for a few months and that they’ll be able to play a few tunes but it takes a lifetime to master the piano. That’s a difficult question. I can only speak about Continuous Music because I don’t compose Classical music. I don’t know if anyone even does anymore because it’s so difficult and the level of genius required is so far beyond what I think our society can achieve, so I’ll leave that to other people. In Continuous Music improvisation is very necessary. To be a great pianist you have to be able to improvise because you have to be able to touch the piano. When I improvise, it’s not as a composer. Composition is just the initial spark, the pianist’s touch and understanding of harmony and melody is still required to complete the piece. Improvisation allows the emotional side of things to come into play at any given moment and form the music for you. This is different from the written aspect, which contains the emotions of the time it was written. Improvisation is a vague concept that encompasses way too much to apply to my work. Strictly speaking, I seldom improvise in concert or for myself. I usually work on a specific musical concept. Live it’s probably 90% prewritten, and the rest would be something in the moment where the hand or mind reacts and you do something slightly differently, like a different position of a chord. When the element of improvisation came into our western tradition, I guess around the time of Mozart and especially Beethoven, it was expected that the musician lived within the music so much that they were able to play variations right on the spot. This is a wonderful thing that has been lost to the modern classical culture so I’d love to see more classical musicians trying improvisation. I want to see more horses running free because as a musician you always want to add something new. Continuous music allows you to do this where classical doesn’t. It also allows you to create a space with certain harmonies and rhythms. You’re free to change a little colour or add a new shape by slightly altering the position of the chords or notes before you move onto the next written situation. So there’s always that element of play and creation even though you’re 90% sticking to the score. My world needs both. Neither one is satisfactory on its own. I gave up long ago trying to associate composition with the timbre of an instrument.